You can create new calendars or add existing calendars in any Confluence space or your My Calendars page. Existing calendars can be other calendars from your Confluence site, or Google Calendars. If you're in My Calendars, you'll also need to enter a Related space. The calendar will appear in that space once you've created it. 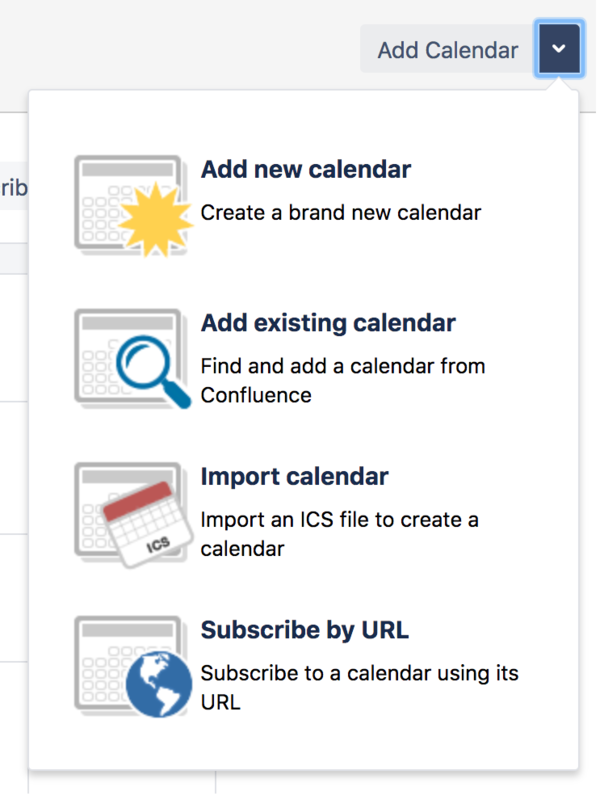 Add Existing Calendar – to subscribe to another calendar in your Confluence instance. Import Calendar – to import a .ics file. Subscribe by URL – to subscribe to a Google Calendar using its URL. See Subscribe to Google Calendars from Confluence for more information. Did you know you can add a calendar to a Confluence page? See Embed Calendars on Confluence Pages. 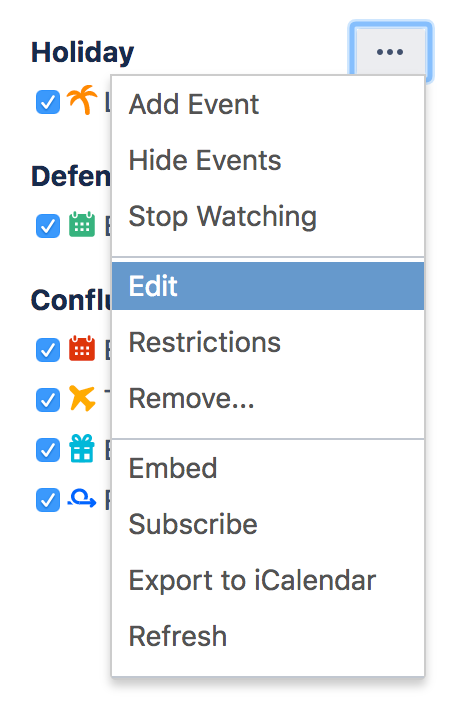 If you want to change the name of a calendar, hide certain event types, or move the calendar to another space, you can edit the calendar provided you have sufficient permissions. You can also add custom event types and hide default event types to tailor the calendar to your needs.